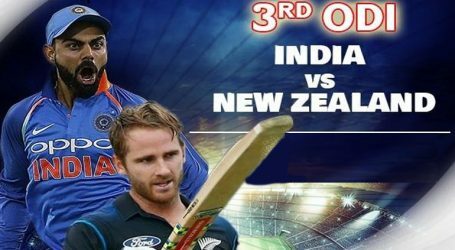 India defeated New Zealand by seven wickets in the third One-Day International (ODI) to clinch the five-match series 3-0. India successfully chased 243 runs with the contribution from Shikhar Dhawan (28) and Rohit Sharma (62) got India off to a solid start. Later, Indian skipper Virat Kohli (60) along with his deputy Rohit Sharma stitched together a 113-run stand for the second wicket to put the visitors in total control chase. After their dismissals, Ambati Rayudu (40 not out) and Dinesh Karthik (38 not out) played brilliant cameos to help India chase down the target with seven overs to spare. Earlier, Mohammed Shami, Hardik Pandya starred with the ball for India to bundle out New Zealand for 243 runs in 49 overs. The last time New Zealand were bowled out thrice in a home series was against Australia in 2010. 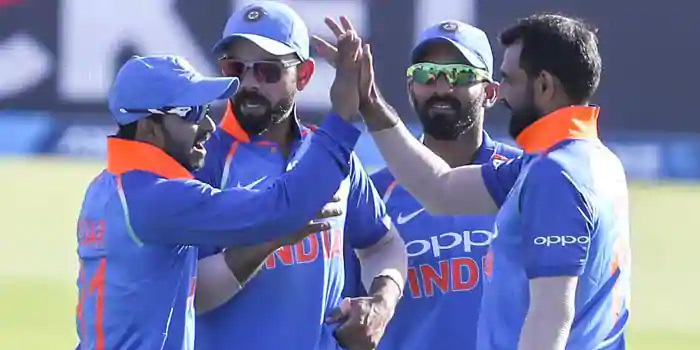 Shami was the pick of the bowlers for India, taking three wickets for 41 runs while Pandya made the most of his comeback claiming two wickets for 45 runs to add to a stunning catch. After opting to bat, New Zealand lost their top order batsmen early. Ross Taylor (93) played a fighting knock with Tom Latham (51) as the duo stitched a 119-run fourth-wicket stand.